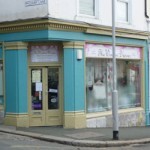 Millbridge has some great shops close together that specialise in Home Furnishings including furniture, fabrics, curtains and blinds, lampshades and accessories for all those finishing touches. 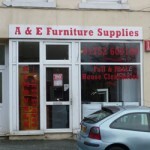 If you are looking for second hand furniture, then the place to start is A&E Furniture Supplies, or right next door, Tilly’s. 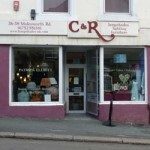 For curtains, blinds, wallpapers, and lamp shades The Window Dresser and C&R lampshades are only a few yards away. If you are after a new table, a set of chairs, a 3 piece suite, bookcases or bedroom furniture for a really good price, then this is the place to start. Don’t be deceived by the front entrance, the shop is an Alladin’s cave with rooms that contain furniture, decorative items and a wide range of appliances. These include cookers, fridges, microwaves and washing machines. Some items are refurbished and others are ‘as new’. Hand painted furniture, at affordable prices is one of our specialities, together with gifts, hand-made cards and all sorts of finishing touches for the home. There is always a great range of painted furniture on display, so you may find exactly what you are looking for immediately. 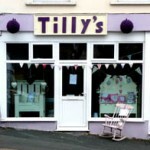 We have chairs, dressing tables, bedside tables and much more. To complete the look, try C&R Lampshades, who not only supply lampshades, but can also add furniture, mirrors, and many more decorative items. Most of our lampshades are hand made to order, but we do have a range of shades that are available in the shop. Our designers can produce an infinite number of combinations of shape, size, style and colour so that we can create a truly unique effect for any location. We are a made to measure curtain and blind service that has been established for ten years. Whether you need curtains, roller blinds, Roman blinds or any other style, we will be pleased to help. We offer a FREE consultancy and estimating service either at your home or in our shop. We will help you select the right fabrics from our wide range that covers all tastes and budgets.